Russell & Co provide a full range of taxation services to owner managed limited companies, partnerships, sole traders and private individuals. Our aim that our clients should not pay a penny more in taxation than is a legal necessity. With a majority of the population paying more in taxation than some premiership footballers, it is easy to see that it is important to take proactive steps to plan any transaction that could have a tax implication. Huge tax savings are often out of the reach of the majority of taxpayers, however most clients are able to reduce their liabilities by proper planning or by using the allowances that exist. 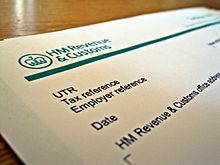 Reducing the amount you pay in taxation can be relatively simple, perhaps by moving a business from a sole trader to a limited company or by including other family members within your plans. To discuss your taxation affairs further, please contact Brian Russell on 01661 872004 or info@profitabilitygroup.co.uk.